Rush hour train services between Blackpool North and Manchester were cancelled this morning due to a shortage of train drivers. The beleaguered rail network also suffered a points failure on the line, with services between Blackpool North and Manchester Airport cancelled for nearly three hours. It meant there were no direct services between Blackpool North and Manchester until after the 9.59am service to Manchester Piccadilly - which was also delayed. The disruption affected a number of services departing and arriving at Blackpool North, including services to Liverpool Lime Street and Preston. The 8.52am service to Liverpool Lime Street was cancelled, as well as the 8.38am and 9.38am services to Manchester Airport and the 8.21am service to Manchester Piccadilly. 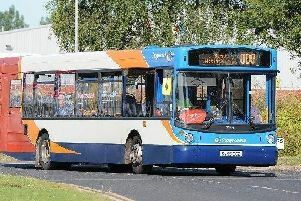 The 8.14am service from Manchester Airport to Blackpool North was also delayed by 46 minutes before arriving at 9.00am. Remember, if you've been delayed by 30 minutes or more, you are entitled to compensation. You can claim back 50-100% of the cost of your journey. Make a claim here.